Home Cleaning Services Cost: Anefficient and cost-saving home cleaning. You may be dissatisfied if the cleaning result you want is different from what you get. The same idea when the price is higher than the average home cleaning services cost. But how will you know if it is really fair enough for you as a customer? If you are still not sure, then this article is for you. It can be cheaper if you are going to hire someone to do the tidying for you since the charge is often lesser. Compared to getting a service from a cleaning company. However, when it comes to well-done and excellent strategies of tidying, it is better to choose the latter one. You can assure that the home cleaning services cost is worth every penny that you are going to pay. Aside from the fact that they have insurance, they also have a reliable and professional team who certainly goes through background checks and intensive training. 1. Stick on your budget. It is better to stick on your budget in order for you to receive the perfect home cleaning services cost you want. And that means a company who can provide the right price and at the same time, deliver you the right services you need. Don’t just look at the value of their fees but also to their quality of services. You can say that they do excellent works when their customers leave good comments and feedback about them. 2. Book regularly their service. 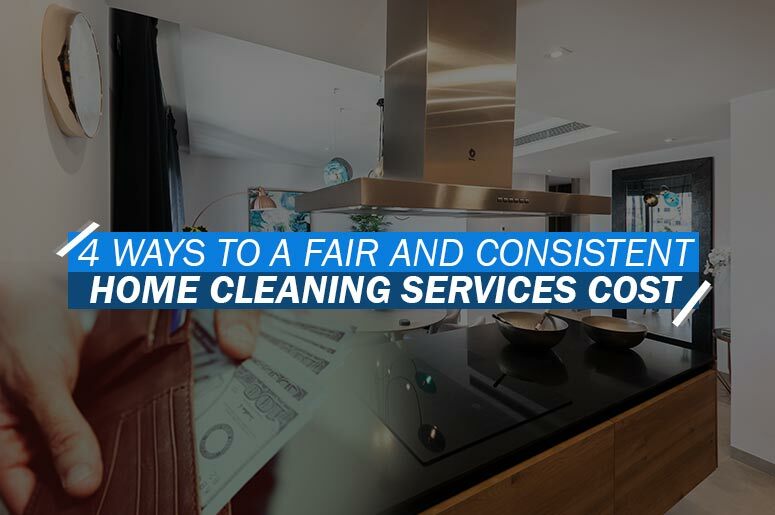 If it is your first time to get the service of a specific company, then the home cleaning services cost you will receive is a bit expensive. However, if you will be needing their service once in a while, then there is a huge chance that they can give you discounts and freebies anytime. It can benefit you and the company as well in the long run. You can save a few bucks if you do this trick since you have been patronising their service. On the other hand, hiring them can also bring convenience to your end. Whenever you plan a long trip and no one is going to manage your place, you can rely on them. Just like the team of Maid in Perth, we have trustworthy people that can do the hard tasks for you. Just let us know what specific services you want to get and you can now enjoy your vacation later on. 3. Purchase your own supplies. Buying your own supplies that the cleaners will prevent you from being charged with extra fees. And that means the home cleaning services cost you will receive is cheaper than the original fee. Isn’t that awesome? If you maintain your place organise as much as possible, then obviously, you don’t really need to get all the services the company offers you. Although, this is also a better idea and is very possible for them to do. However, this is not advisable to do if you are on a budget. Determine what are the areas that demand thorough cleaning first before calling the company for the service. It will surely upset you if the home cleaning services cost you unfairly because it didn’t meet your expectations. The above ways are just some of the things that will save you from getting high expenses. Now that you know what you should do the next time you will hire a company to do the tidying for you, be relax and let them do their part. Maid in Perth is the one that you are looking for! You can visit our website for more information about our services offered. We also have relevant articles and effective hacks and tips on our blog section. Give us a call today for further details. This entry was posted in Home Cleaning and tagged cleaning, cleaning cost, cleaning services, cleaning services cost, Home Cleaning, home cleaning cost, home cleaning services, home cleaning services cost.